Aromatic plants are an excellent way to decorate your home. This is a collection of some house plants that can help clean the air in the room - from pollution, bad smells or odors, and that will lower carbon dioxide naturally. Some of them also repel biting insects, while others invite useful wasps that kill the parasites on the other plants. Here are list of some fragrant plants for home that purify air. It is an excellent insect repellent. The aroma relaxes the lungs and helps for calmer night sleep. The aroma helps one relax if you suffer from anxiety. But be sure to give it plenty of sun, and don't forget that even its dead blossoms retain their scent for a long time. Just remember to clip off dead flowers to induce the growth of new ones. 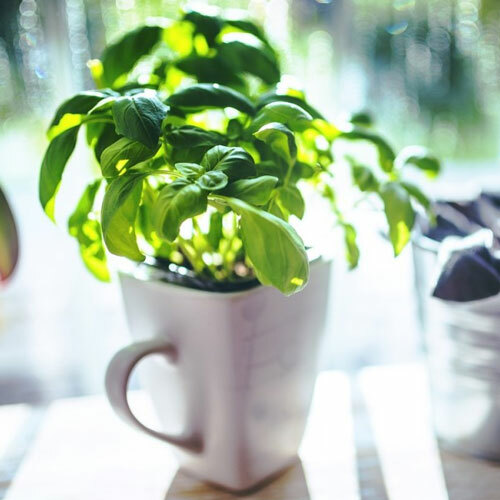 Basil is a very well-known herb and spice. It can be also used as herbal tea and as all other plants will reduce the carbon dioxide in the room.